INTRODUCTION The creasing and folding of paperboard and corrugated board and its simulation have been previously studied (Isaksson and Hägglund 2005; Beex and Peerlings 2009; Nygårds et al. 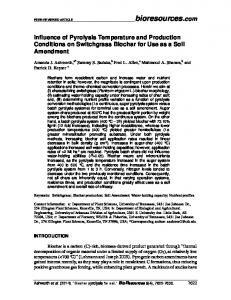 2009; Nagasawa et al. 2003). Previous work describes the difference in creasing and folding between MD (machine direction) and CD (cross machine direction) (Kim et al. 2010). However, previous work and traditional laboratory tests performed for fiber materials do not properly describe the material behavior in press forming, especially when forming occurs in multiple directions. Some patents and articles have described the forming of paperboard (Määttä et al. 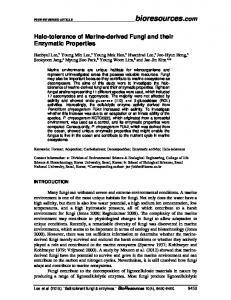 2011; Hauptmann and Majschak 2011; Vishtal and Retulainen 2012) and paperboard elongation (Zeng et al. 2013), but the forming of the tray corner and rim area has not been researched widely. This research is needed to better understand the effect of different factors on the end product quality. This quality is important for several reasons, such as the visual appearance and the modified atmosphere packaging tightness and thus the microbiological safety of the packaged product. 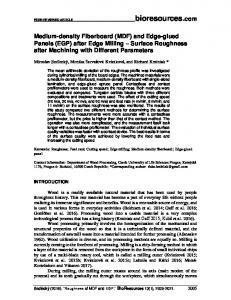 In this research, the forming phenomenon of the corner was studied to obtain essential data for better forming process control and therefore better end product quality. The corner area is studied for several reasons. First, the most severe deformation occurs in the corners, and it is therefore the area most likely to have cracks that cause leaks in the package. Second, the corner area surface quality is critical for a tight seal when the package is sealed with a lid. The forming process involves a combination of material and tool properties. This is why certain parts of tool geometry must be included in this study. Heat-sealed tray-shaped packages are widely used with modified atmosphere packaging (MAP). However, MAP is not widely used with plastic-coated press-formed paperboard packages in tray form because of the challenges associated with package tightness. Sealing the lid is a critical step in MAP, as the sealing process and the quality of the seal can affect the production rate and shelf life. In addition to preventing the package from leaking, the seal must also prohibit air from coming in contact with the food (Yeh and Benatar 1997). A previous paper (Leminen et al. 2012) shows that the critical area to the gas tightness of heat-sealed trays with press formed plastic-coated paperboard trays is the corner of the rim area of the tray. This is why the quality of the tray corner should be at a sufficient level and reliably achievable in tray production. Creases are located in this corner area, which are necessary for the package manufacturing process (Fig. 5). A microscopic figure of a typical press-formed crease is presented in Fig. 1, compared to a traditionally bent crease in Fig. 2. The crease works differently in the paperboard press forming process compared to traditional folding. Fig. 2. A microscopic image of bent paperboard. γ is the nominal initial shearing strain of tested samples. based materials, it is possible to get gains in elongation of around 2 to 2.5 percentage points, and therefore the elongation values in tray pressing can be higher. 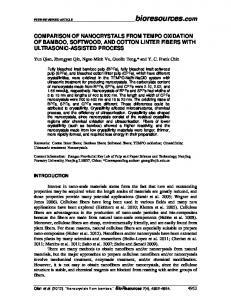 Methods The press forming of fiber materials was studied with a series of converting trials. 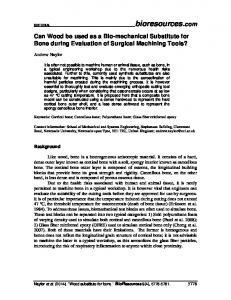 The research was limited to the material thickness and its relation to forming mould clearance. The clearance is the distance between forming surfaces of tray manufacturing tools. Content of outer and middle plies of the base board were the same in all the test materials; only the thickness varied in constant scale. 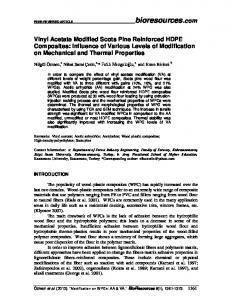 Polymer coating was identical in all materials. The process parameters of tray blank preparation and preconditioning of test materials were kept constant to ensure reliable results. Process parameters are shown in Table 2. Folding of the paperboard blank was controlled with a set of carefully positioned creases (Fig. 5) and process parameters in the press-forming process. The used creasing pattern represents a typical layout in the tray pressing process. The target was to obtain evenly folded creases in smooth tray walls and in flat flanges of the tray. The ratio of mould clearance and thickness of the paperboad also has a significant effect on the appearance of the tray wall. The mould clearance cannot be adjusted during production runs; therefore, the selection of clearance is a critical phase of the mould design process. The behaviour of paperboard blank was observed in different parts of the mould cavity and is presented in Fig. 3. Fig. 3. Observation points of the tray corner; tray walls were analysed from multiple heights with 5-mm intervals. original length. This value is derived from the volume of the mould cavity in a single corner of the tray using the 3D model of the moulding-tool set. At point I, the required material reduction is largest; therefore, the material has to endure the greatest amount of forming. The usage of mould clearance describes the portion of the mould cavity that is filled with paperboard. If the usage is over 100%, then the paperboard has to compress and contract. Because pressing force forms the fibre structure permanently, the irreversible part of the compaction deformation of the paperboard blank in tray pressing can be considered plastic deformation. The surface smoothness of the tray and the quality of folding of the tray wall in the corners was analysed to determine suitable mould clearances. The grading scale of the tray wall quality is presented in Table 3, and sample pictures are shown in Fig. 7. Fig. 4. Observation point D in the tray corner; clearance between the moulds is constant at each selected height. Blank geometry and preparation Tray blanks were cut into shape using a die cutting machine according to the geometry presented in Fig. 5. The tray blank area was 651.9 cm2, and the dimensions were 319.3 mm x 216.3 mm. The creased blank and press formed tray corners are presented in Fig. 6. After blank preparation, the pre-cut and creased blanks were pressed to the tray form. The tray-forming process is described in Fig. 7. The paperboard blank is positioned between the moulding tools. The blank holding force tightens the blank between the rim tool and the female tool. The male tool presses the blank into the mould cavity in the female tool. Folding of the tray corners is controlled with blank holding force. The male tool is held at the bottom end of the stroke for a set time (0.5 to 1.0 s). The plastic coating softens, and creases in the corners of the tray are sealed together. The flange of the tray is flattened by the rim tool. The formed tray is removed, and a new blank can be fed into the tray press. The tray achieves its final rigidity when it cools down. The process parameters of tray pressing are presented in Table 2. The female tool was heated, while the male tool was kept at room temperature. Heat was applied only to the board size of the material to prevent melting of PET coating. Pressing speed is the speed of the male tool until it is stopped by the female tool. The creases were analysed after press forming. Ten different analysis points were analysed from each corner. The analysis was done by evaluating the structure of the creases after forming. Samples of tray corners were cast in acryl plastic to preserve shape of the creases during processing. Then, the samples were ground, polished, and analysed with an optical microscope. The creases were analysed in the machine direction, cross direction, and at a 45-degree angle (Fig. 4). The samples were then compared to each other to determine if the material thickness had an effect on the crease geometry and the quality of the tray rim. The creases were measured and average dimensions are presented in Table 5. The dimensional measurements of creases were made from microscopy images. Also, a visual evaluation of press formed trays was made. Ten different samples of each analysis point were analysed. The quality of ready-made trays was graded according to the scale presented in Table 3. Examples of corners of the tray evaluated with different grades can be seen in Fig. 8. Grade 0 is targeted when process parameters of the tray production are adjusted. Grades -1 and +1 are mainly visual defects; the functionality of the tray is not compromised. However, these grades indicate the direction where the paperboard thickness or the mould clearance should be altered. RESULTS AND DISCUSSION Measurements and tray wall quality evaluations at observation points A to J are presented in Table 4. Based on these results, the recommended usage of mould clearance is from 95% to 135% for the tested paperboard types when forming selected example trays. 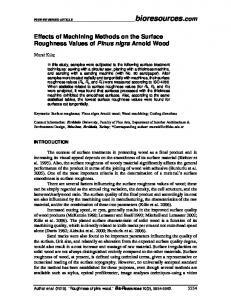 This result cannot be applied to other paperboard types without further tests. Material thickness and its relation to forming mould clearance depend on the strength properties of formed materials and the surface friction between blank and moulds. Mould clearance between male and female moulds does not affect the tray flange area (observation point J). The tray flange is flattened between the rim tool and female mould, and the flattening force can be adjusted independently; therefore, all materials have grade 0 at observation point J. The formation of creases was similar in each corner of the tray. In future studies with symmetrical geometries such as a rectangular tray, the analysis can be limited to just one corner. Observation points B, D, G, and I were selected for microscopic analysis. Because the forming forces used in this study were constant for each material, elongation was largest with material of the smallest grammage (Fig. 9). The shape of the creases therefore varied more, and the width of the crease was larger. Shape of the creases between 230+40 and 190+40 was quite similar, but elongation was significantly higher with thinner material. The higher strength properties of thicker materials, such as 310 + 40 (Fig. 11) and 350 + 40 (Fig. 12), decrease the variations in crease shape. The width of the crease is more compact. averages of these measurements are presented in Table 5. The values indicate that the width of the press-formed creases decreases when the material thickness increases. Formation of creases varied less and shape of the creases was more homogenous with 350 + 40, which had the best usage of mould clearance. With every material thickness, there was some variance in crease formation. However, a conclusion can be made regarding the width of press-formed creases, which decreased when the material thickness increased. On average, in press-forming, creases in each tested material seemed to perform similarly in the cross direction, machine direction, and at a 45-degree angle. With lower material thicknesses, such as the 190 + 40 and 230 + 40, the paperboard also became wrinkled in areas that were not creased, which had an effect on the overall visual quality of the package. These wrinkles are visible in Fig. 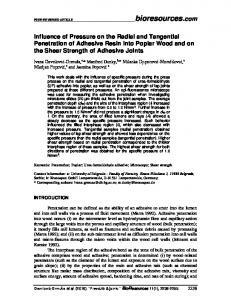 14 and are believed to be caused by the lower in-plane stiffness of the thinner materials. 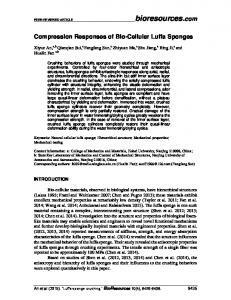 In this article, the effects of constant factors such as material thickness and mould clearance were observed. These factors cannot be altered during production runs. However, many forming parameters, such as temperature, speed, and force, can be adjusted to improve the quality of the end product and consequently the suitability for modified atmosphere packaging. The effect of these factors should be further investigated in future work. CONCLUSIONS 1. Mould clearance usage needs to be sufficient to ensure the correct formation of creases and smoothening of the tray corner surface. Overusage of mould clearance causes fracturing and visual defects on the paperboard surface. 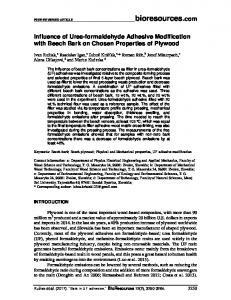 The recommended usage of mould clearance is from 95% to 135% for the paperboard types used in this study when forming selected example trays. This result cannot be applied to other paperboard types without further tests. 2. The width of the press-formed creases decreases when the material thickness increases. On average, in press-forming, creases in each tested material seemed to perform similarly in the cross direction, machine direction, and at a 45-degree angle. ACKNOWLEDGMENTS The authors would like to thank the European Union’s regional funding, project A32103. 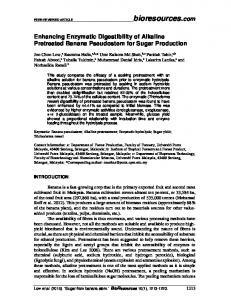 REFERENCES CITED Beex, L. A. A., and Peerlings, R. H. J. (2009). 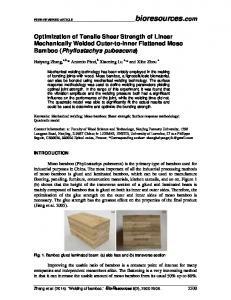 “An experimental and computational study of laminated paperboard creasing and folding,” International Journal of Solids and Structures 46(24), 4192-4207. Hauptmann, M., and Majschak, J-P. (2011). “New quality level of packaging components from paperboard through technology improvement in 3D forming,” Packaging Technology and Science 24(7), 419-432. Isaksson, P., and Hägglund, R. (2005). 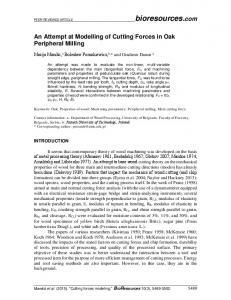 "A mechanical model of damage and delamination in corrugated board during folding," Engineering Fracture Mechanics 72(15), 2299-2315. Kim, C-K., Lim, W-S., and Lee, Y. K., (2010). 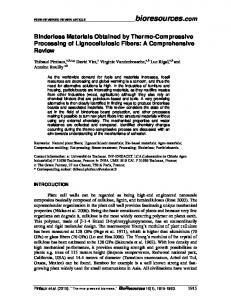 “Studies on the fold-ability of coated paperboard (I): Influence of latex on fold-ability during creasing/folding coated paperboard,” Journal of Industrial and engineering Chemistry 16(5), 842-847. Kunnari, V., Jetsu, P., and Retulainen, E. (2007). “Formable paper for new packaging applications,” 23rd Symp. International Association of Packaging Research Institutes (IAPRI). Windsor, UK, 3 - 5 Sept. 2007. Leminen, V., Kainusalmi, M., Tanninen, P., Lohtander, M., and Varis, J. (2012). 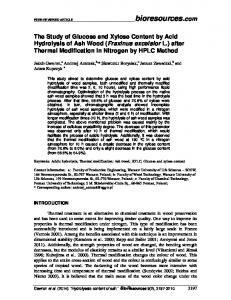 "Effect of sealing temperature to required sealing time in heat sealing process of a paperboard tray," Journal of Applied Packaging Research 6(2), 67-78. Määttä, P., Vesanto, R., Tanninen, P., Laakso, P., Hovikorpi, J. (2011). “Method for manufacturing a board tray, a blank for the tray, and a tray obtained by the method,” United States Patent 8011568 Nagasawa, S., Fukuzawa, Y., Yamaguchi, T., Tsukatani, S., and Katayama, I. (2003). "Effect of crease depth and crease deviation on folding deformation characteristics of coated paperboard," Journal of Materials Processing Technology 140(1–3), 157-162. Nygårds, M., Just, M., and Tryding, J. (2009). 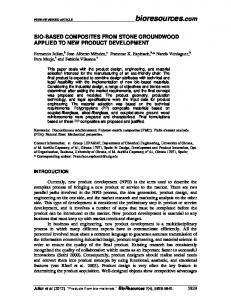 "Experimental and numerical studies of creasing of paperboard," Intl. 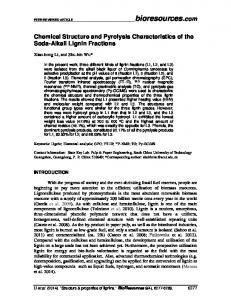 Journal of Solids and Structures 46(11–12), 2493-2505. 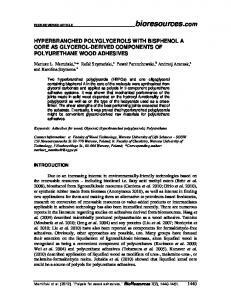 Vishtal, A., and Retulainen, E. (2012). 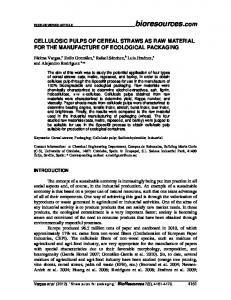 "Deep-drawing of paper and paperboard: The role of material properties," BioResources 7(3), 4424-4450. Stora Enso Trayforma Performance PET (2010). (http://www.storaenso.com/products/packaging/Documents/Trayforma%20Performan ce%20PET_ENG.pdf) Yeh, H. J., and Benatar, A. (1997). 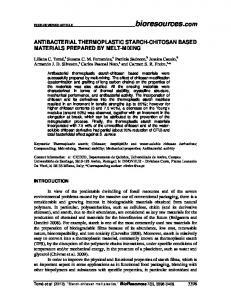 “Technical evaluation – methods for sealing paper foil aseptic food packages,” TAPPI Journal 80(6), 197-203. Zeng, X., Vishtal, A., Retulainen, E., Sivonen, E., and Fu, S. (2013). 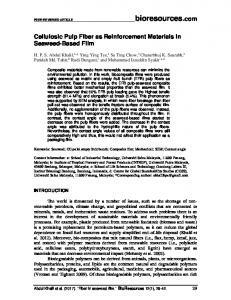 "The elongation potential of paper - How should fibres be deformed to make paper extensible?" 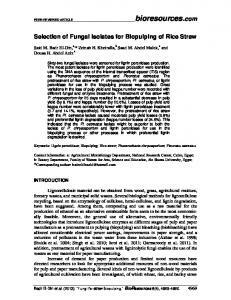 BioResources 8(1), 472-486. 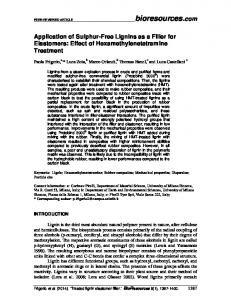 Article submitted: May 17, 2013; Peer review completed: June 22, 2013; Revised version received and accepted: Sept. 13, 2013; Published: September 24, 2013.